Hi again, everyone! Sorry for the delay in posting. I was really NOT happy with the original mani I did for this, so I re-did it tonight after I finished up some case reading and am much happier with the end result. It reminds me of rain drops on leaves after a storm. 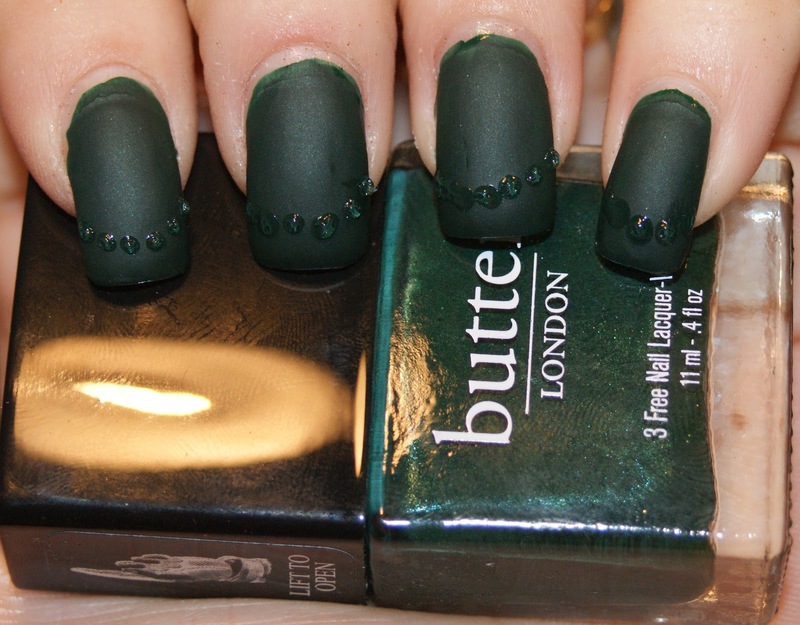 To achieve this look, I used butter LONDON in British Racing Green with a coat of butter LONDON Matte Finish that I recently received from my Coterie order. After two coats of BRG and one coat of Matte Finish, I took my dotting tool and dipped it into my Hardwear Top Coat and made dots like I would do for a normal design. HOWEVER, I made sure there was enough top coat to create what looked like a bubble that would be raised significantly on my nail. The point was to make it thick, unlike in most nail art dotting. I really LOVE the end result to a point that might be a tad unhealthy. 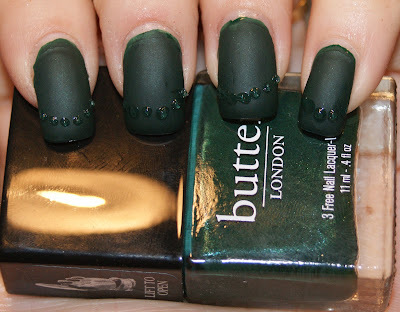 I'm not normally a proponent of the matte trend because I think it's a little too muted for my liking. Yet, I think this is just the perfect amount of pop and subtlety mixed together. 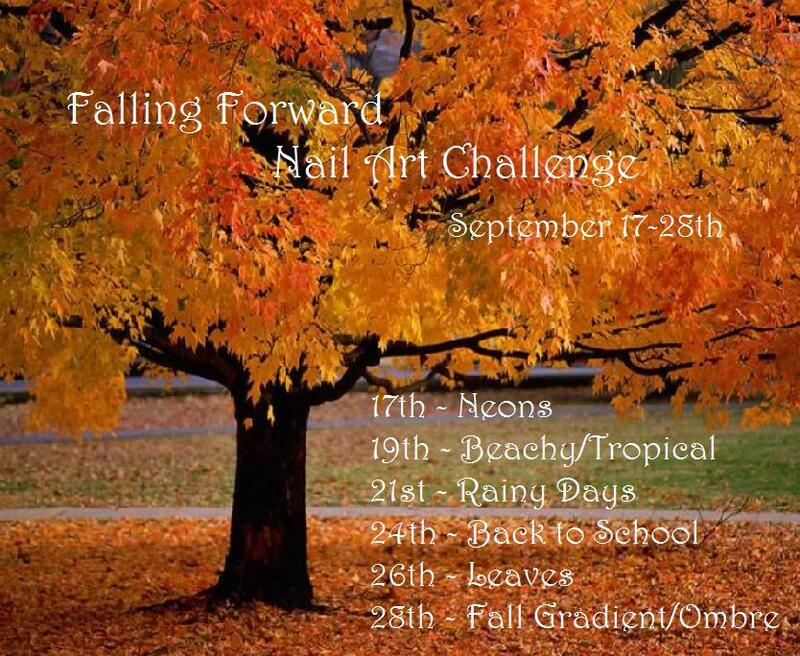 And it's really easy to recreate on your nails! So would this be something you would try at home? Would you rock this mani?